California honey or liquid sunshine? Whatever you call it, the West Coast has it, made by bees living the good life. And right in the center of of the state, tucked in the San Joaquin Valley between coastal ranges and the Sierra Nevada, happy honeybees produce one of our all-time favorites: California Wild Black Sage Honey. The sage family of plants originated in the Mediterranean and Asia Minor and today has spread throughout North, Central and South America. 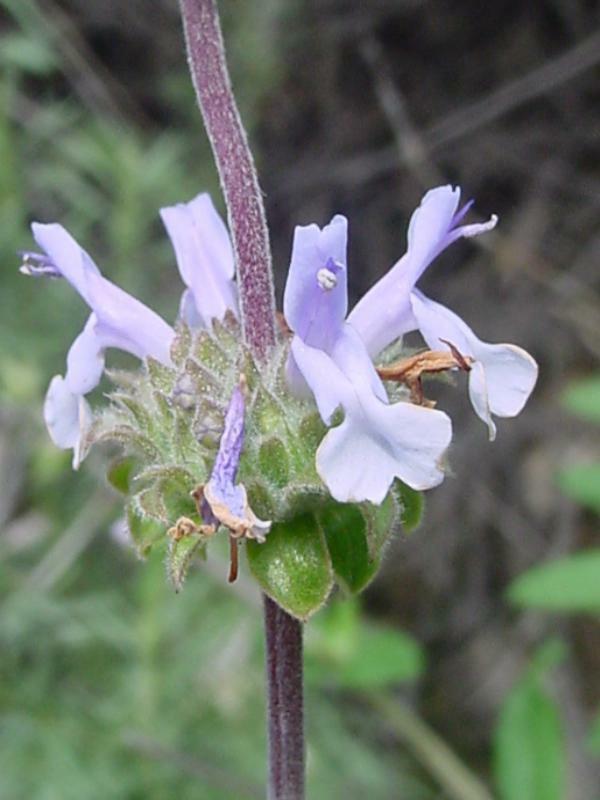 Generally speaking, sage honey is one of the most common single varietal (monofloral) honeys in the United States, but not so with Wild Black Sage (Salvia mellifera). The species grows throughout the Central Valley but does not always produce enough nectar for a honey harvest. When the weather is just right, the plant blossoms with two-lobed flowers of pale blue and lavender, swelling with nectar. When conditions permit a harvest, California Wild Black Sage Honey is a thing of wonder, with a light color and mild flavor. Black Sage gently entices the palate before blooming into full-bodied complexity. The characteristic whisper of black pepper warms the mouth and leads to a smooth, clean finish. Sage honey crystallizes slowly, making it a favorite for honey recipes and as a sugar substitute, including in honey simple syrup. We stir it into herbal tea, especially the mysterious Mt. Olympus, and after hours add a few magic ingredients to make the Bee Raw Tea Toddy. Try it also as a glaze on pork loin or drizzled over Parmigiano-Reggiano. Incorporated into Thanksgiving stuffing, it adds the one simple quality we think every stuffing should hold for the next hundred years: a smile after you taste it. Sage gets its name from the Latin salvia, meaning “to heal.” Fitting, because for centuries people have turned to raw honey for the topical treatment of minor wounds and burns, and as an antibacterial agent to promote overall health. Raw honey has antioxidants and contains helpful trace elements and minerals, such as cobalt, copper, iodine, iron, magnesium and phosphorus. Parents looking for natural remedies have used sage honey to control excessive sweating and turned to its smooth, thick texture to soothe sore throats.